An article about the wave of privatisations carried out by the Nazi party in the 1930s. Nationalization was particularly important in the early 1930s in Germany. The state took over a large industrial concern, large commercial banks, and other minor firms. In the mid-1930s, the Nazi regime transferred public ownership to the private sector. In doing so, they went against the mainstream trends in western capitalistic countries, none of which systematically reprivatized firms during the 1930s. 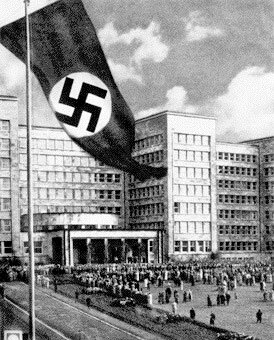 Privatization was used as a political tool to enhance support for the government and for the Nazi Party. In addition, growing financial restrictions because of the cost of the rearmament programme provided additional motivations for privatization. Even if Hitler was an enemy of free market economies,he could by no means be considered sympathetic to economic socialism or the nationalization of private firms.